Analysis: Ferrell plays with good energy on both ends of the floor. In transition he gets to the rim when he receives an advance pass while running the outside lane. Crowell can finish like a much larger player or draw the foul, he likes to slash from the wing and shoot the pull up or 3-ball with equal effectiveness which he proved in the biggest moments all weekend long. 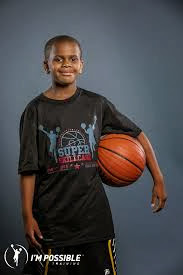 Extremely quick and powerfully compact Ferrell is hard to stop with the ball in his hand - he brings a certain type of toughness to the floor and imposes his will on both ends of the court and opponents. He is a consistent producer on a top team as a scorer. Showed why he is considered one of the best in class all weekend long regardless of the guard position he played.